Georgia, as one of the countries from the historic Silk Route has a long history of silk producing. 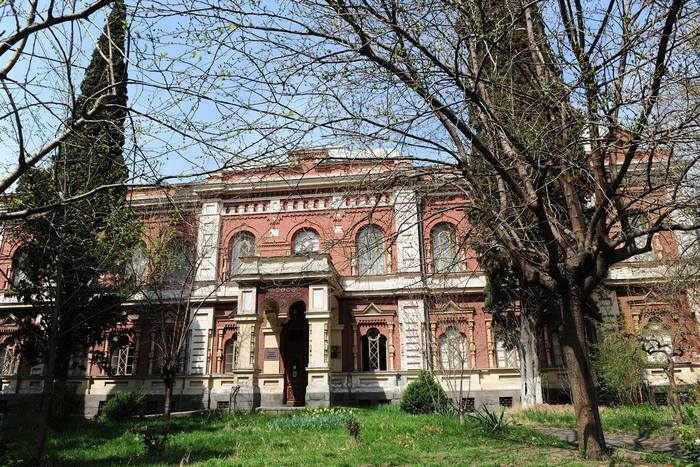 Consequently, the State Silk Museum is one of the must-visited venues in Tbilisi. The museum, as a part of the Caucasian Sericulture Station Complex was founded by the natural scientist Nikolai Shavrov. A building of the museum has a status of a cultural heritage monument at present and was built in 1887-1891 by Polish architect Alexander Szymkiewicz. The Silk Museum is regarded as one the oldest among the world’s silk museums and offers the remarkable and versatile exposition about silk and sericulture. The collection features objects from 63 countries. There is also a unique library in the museum, keeping rare books dating back to the XVIII-XIX centuries, these books about natural sciences are in Russian, English, German, French, Italian, Rumanian, Hungarian, Chinese, Japanese, Persian, Arabian languages. Museum and library furniture are made according to sketches of the architect A. Szymkiewicz and have preserved their authentic image until today.